In 1660, the Restoration of Stuart Monarchy in England returns Frances Stuart and her family to favor. 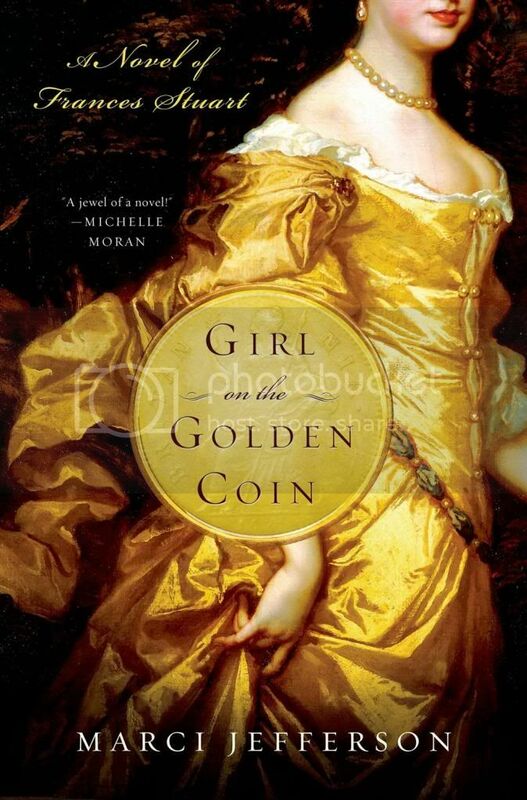 Frances discards threadbare gowns and goes to gilded Fontainebleau Palace, where she soon catches the Sun King’s eye. But Frances is no ordinary court beauty-she has Stuart secrets to keep and her family to protect. King Louis XIV turns vengeful when she rejects his offer to become his Official Mistress. He sends her to England with orders to seduce King Charles II and help him form an alliance with England. The Queen Mother likewise orders Frances to become her son’s mistress, in the interest of luring him away from the Protestant mistress he currently keeps. 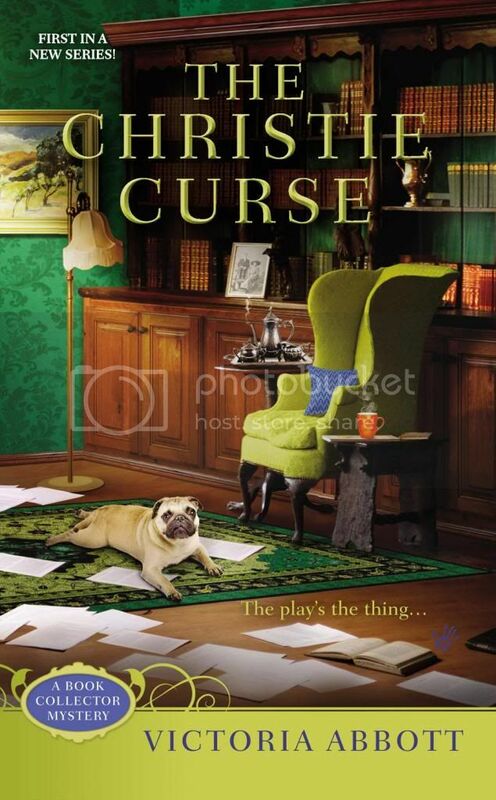 While stuff has been crazy this fall I’ve been reading quite a few cozy mysteries. They are fun and light and often quite delightful. Also I tend to have the WORLD’S MOST DIFFICULT TIME reviewing them, particularly once I’m past the first book in the series. So, instead of three or four reviews, here’s a roundup. 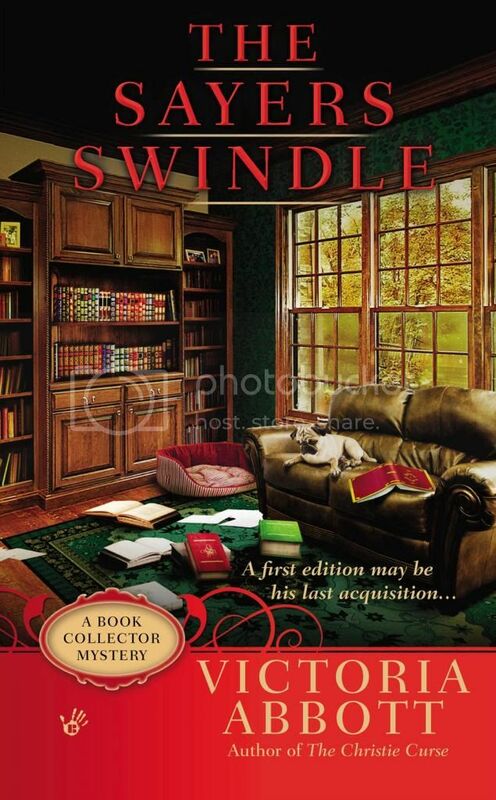 The Christie Curse and The Sawyers Swindle by Victoria Abbott – Jordan Kelly needs a job and by some miracle, she seems to have found the perfect one, curating the library of Vera Van Alst, a rare book collector. Tracking down rare mysteries is a more dangerous job than it seems, however. Luckily for Jordan, she has great resources in her uncles who aren’t always on the right side of the law, but who love Jordan dearly. 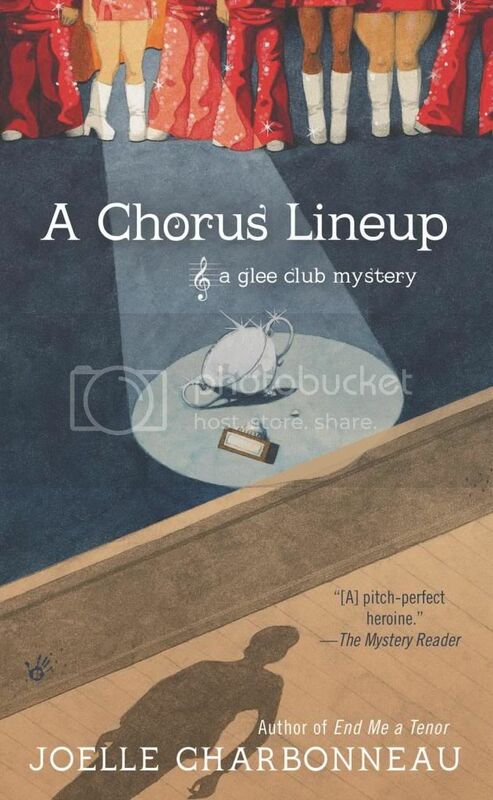 A Chorus Lineup by Joelle Charbonneau – the third in the Glee Club Mystery series. Paige’s glee club has the opportunity to perform in a huge Nashville competition, but when most of the teams’ costumes are destroyed and Paige is blamed, she gets sucked back an investigation that could put her and those she loves in serious danger. Charbonneau writes two other great series and she is really getting on a roll with this cozy series. I particularly liked the revelations about Paige’s personal life. 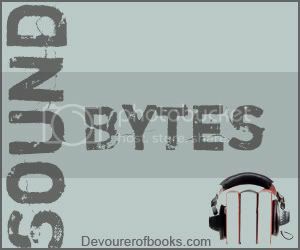 Home of the Braised by Julie Hyzy – the White House Chef Mystery series is one of my very favorite cozy series, I look forward to them every January. 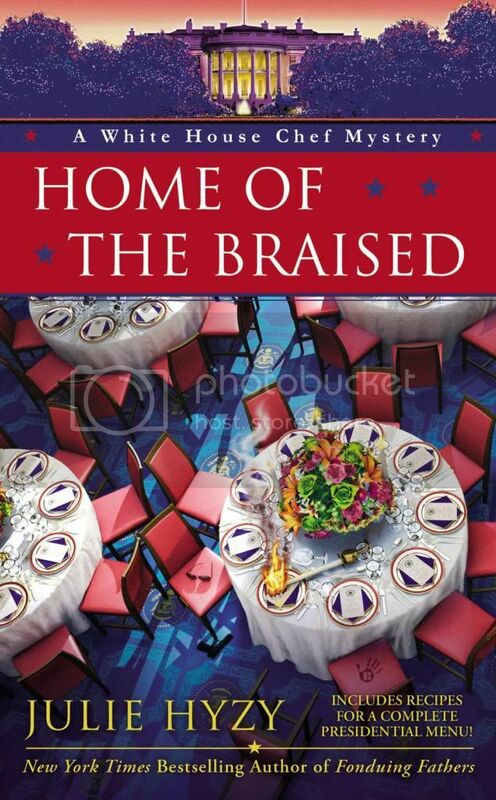 In Home of the Braised Olivia is back in the White House and is all ready to focus on her upcoming marriage to her secret service beau Gav when the two of them inadvertently walk in on a mass murder just before the secret service gets there. Now Olivia is back in the middle of things and it may be up to her to save the President.